After the long, and brutal, reconquest of the Geek Cast Live podcast, the Geek Cast crew immediately turn their bloodlust onto each other. A raging debate ensues over Marvel’s Civil War, and Bass is forced to resort to blood magic. 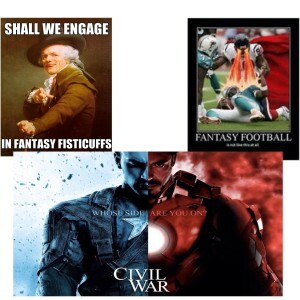 Traitors are afoot, revenge is upon the horizon, and most importantly… Fantasy Football is here.